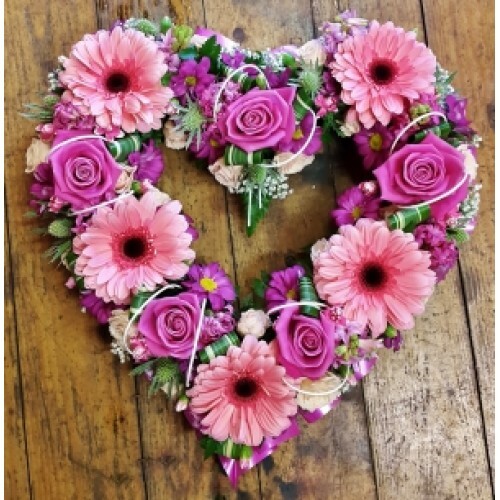 Product Description A heart shape design with clusters of different flowers and foliage, in a selection of pink flowers including Roses, Freesia and Carnations. Flowers may vary from picture depending on season and availability. 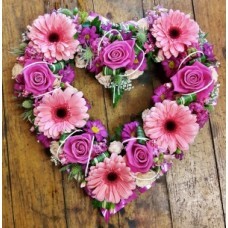 A heart shape design with clusters of different flowers and foliage, in a selection of pink flowers including Roses, Freesia and Carnations. Flowers may vary from picture depending on season and availability.